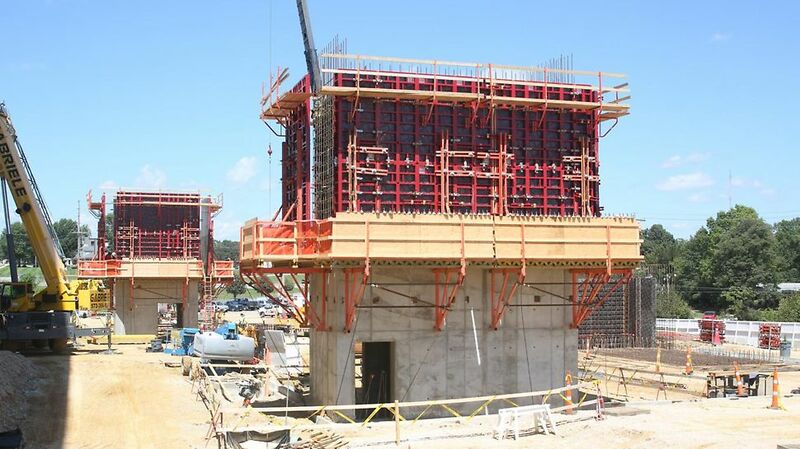 MAXIMO Panel Formwork was just what the doctor ordered for construction of three similar concrete cores for the new Delbert Day Cancer Institute, a 37,000 ft² comprehensive cancer care facility at the Phelps County Regional Medical Center. At the start of construction, McCarthy built the three free standing 4- and 5-story cores in 3 lifts of about 15’ each. 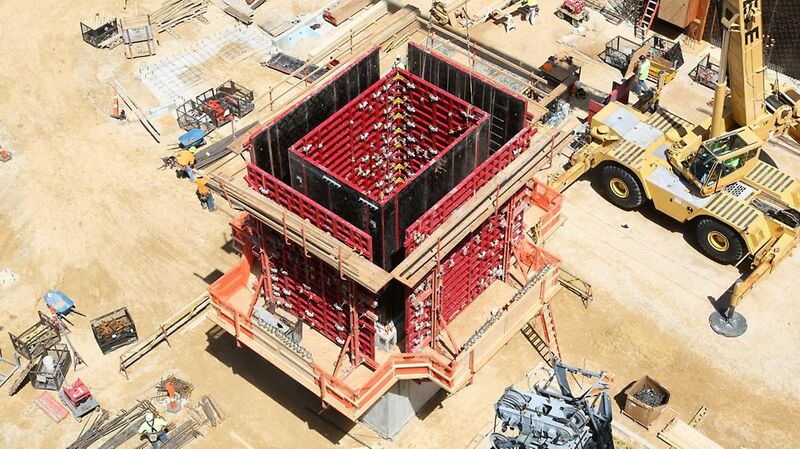 A PERI CB Climbing System specifically designed to move large-area wall formwork raised the assembled MAXIMO Panels between lifts. All three cores are about 13’ wide with lengths of approximately 15’, 25’ and 26’. Despite their overall similarity, each of the cores is dotted with numerous embeds in dissimilar locations. PERI worked closely with the structural engineer and contractor to ensure prior to concrete placement that the formwork design avoided all conflicts and obstructions. 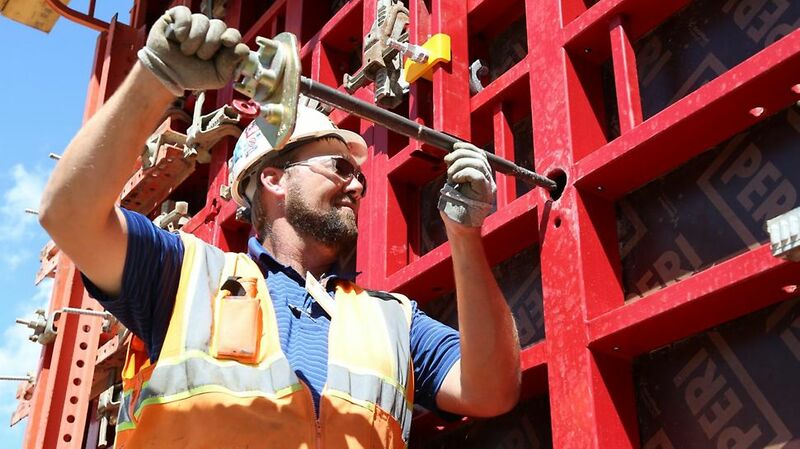 In addition to minimizing surface imperfections, MAXIMO Formwork uses specially designed ties that only require a worker on one side for installation as well as for stripping, which directly reduces labor costs. It also accelerated the process on this project because workers did not have to go inside the core as the panels were stripped and reset. 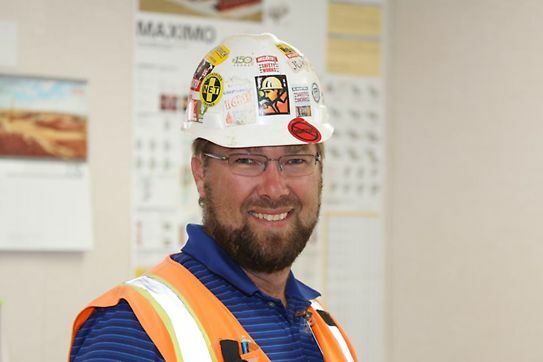 MAXIMO Panels also use only about half as many ties as other panels of similar size, translating to even greater savings in labor and materials.